Kate Moss is back with a new collection for Topshop. 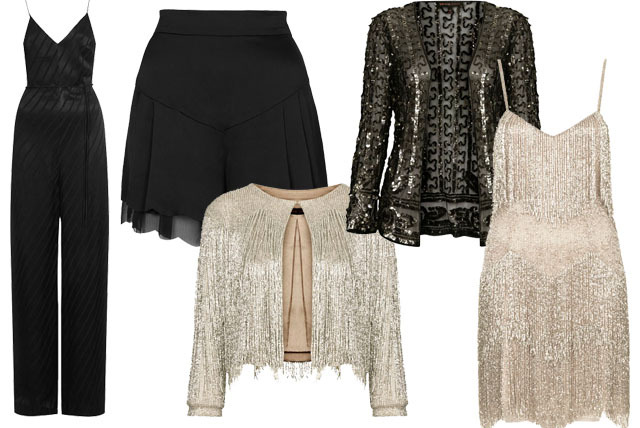 Lots of fringes and ethnic inspired pieces go hand in hand with super chic gowns and plenty of glitter. The icon's style is thus perfectly reflected in many of her creations. The model had worked with Topshop many times before (this is already their 15th collection!) but had ended the long-term collaboration in 2010. This highly anticipated comeback collection will be available from April 30th and is quite likely to be sold out in the blink of an eye. Be prepared to spend between 50€ and 870€ if you want to get your hands on your favourite piece! 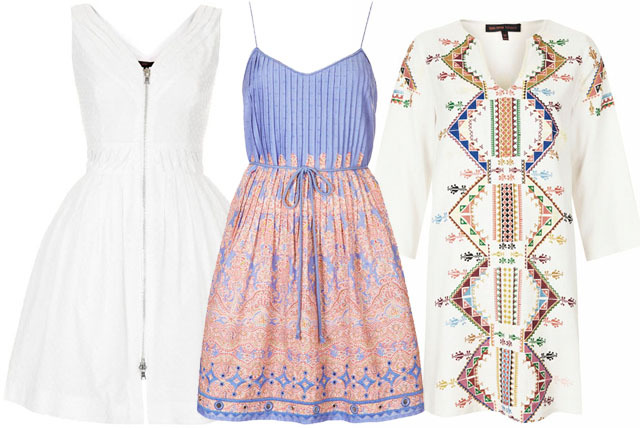 Don't you think the summer dresses are a dream? I would love to get my hands on both the white ethnic and the blue and salmon one! Will you be ordering your favourite pieces from the collection? Which creation do you like best? Wow looks like a stunning collection, I want the first two dresses and everything from the last set. Thanks for your support over at mine, hope you're having a great week so far! Outch !!! but WOW ! The style is very much her! Very beautiful designs! That summer dress and the entire collection is a dream. Thanks for posting this Carmen. I hadn't seen the collection. i think this collection is very cute...i love the white gispy dress and the jumpsuit.. Die Sachen sind soo toll, da würde ich auch gerne zugreifen! amazing choices! especially the black jumpsuit is so nice!